Something about the new Esquire 35 seems to defy scale. If you were ignorant of her name, how big would you say she is? Forty-five feet? More? If you guessed a number that big, it’s time for humble pie. 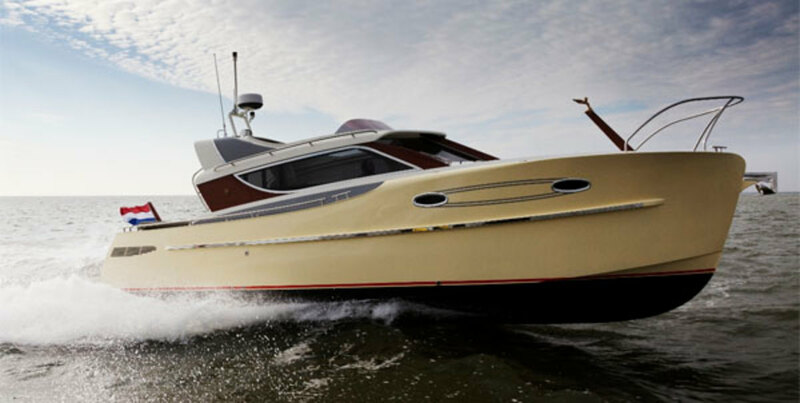 This boat is actually only 35 feet 9 inches, and she’s meant to be a classy, classic runabout. We tamed the U.S.-Holland time difference to speak with Vripack designer Pim Dijksman about his build—particularly the inspiration behind the 35’s arresting looks, as well as the trompe l’oeil that might leave you guessing about her LOA. 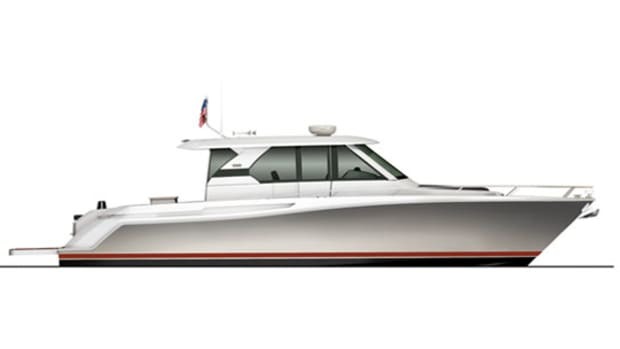 Power & Motoryacht: Where did the idea for the Esquire 35 come from? 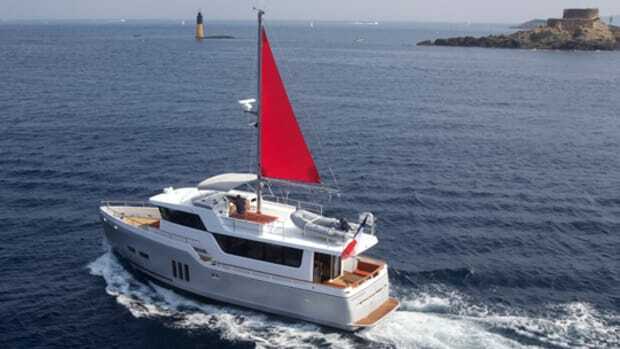 Pim Dijksman: It’s like a blink back to the ’40s and ’50s style of boating, not modern-looking like all boats look now. 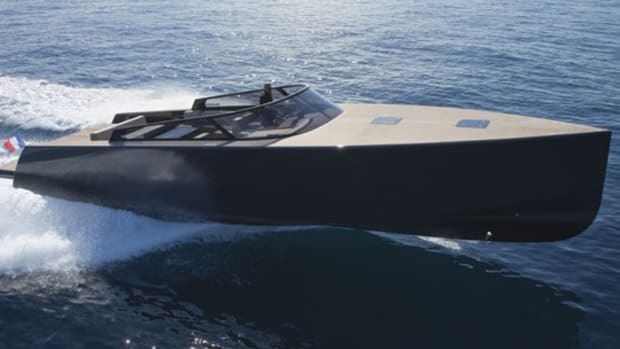 Today you see a lot of futuristic boats, whereas our client wanted a boat with a classic style, but not a husky, old boat. 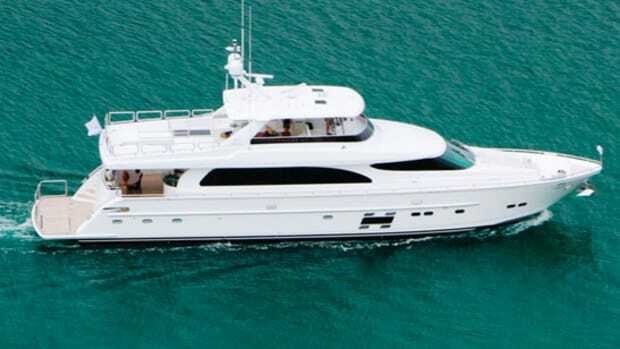 Power & Motoryacht: So there is an owner? Pim Dijksman: Yeah, the boat is on its way to France right now. 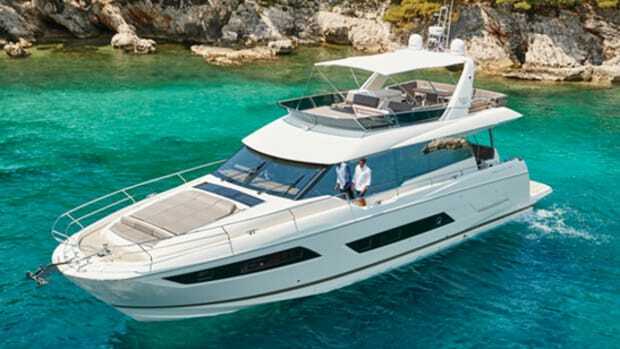 Power & Motoryacht: Can you tell me about the hull? Pim Dijksman: It’s deep-V-shaped, full aluminum. 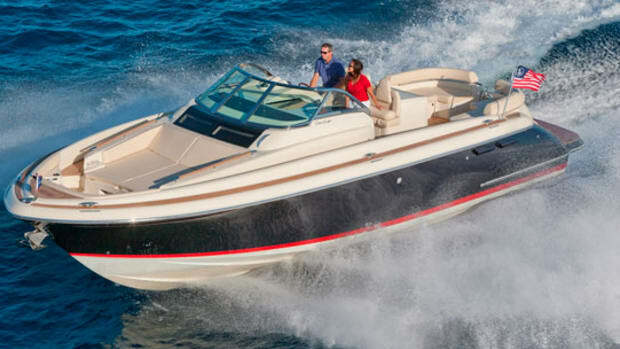 If you compare to normal sport boats it has quite a plumb bow so at slower speeds it has better efficiency cruising. It gives us a larger interior as well. Pim Dijksman: That’s what we wanted. We did that with the plumb bow. 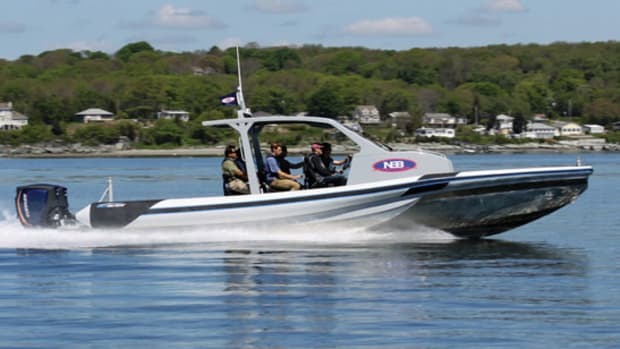 Also, the sheerline, in the middle, it runs up, and visually that blends the profile so the boat looks longer and sleeker. 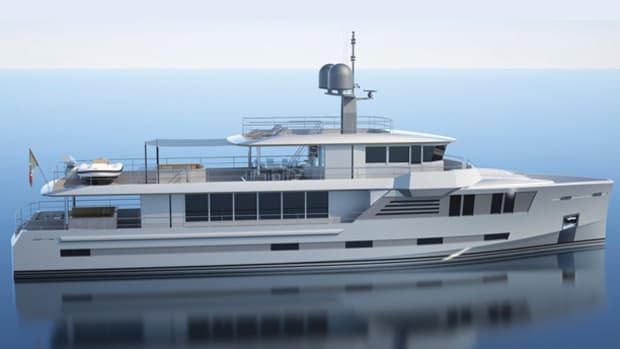 And the superstructure is a bit lower than on a normal boat this size, which sacrifices some space down below, but it makes the boat sleeker. The owner just uses the deck for stowage anyway. He just throws his bags down there nine out of ten times.